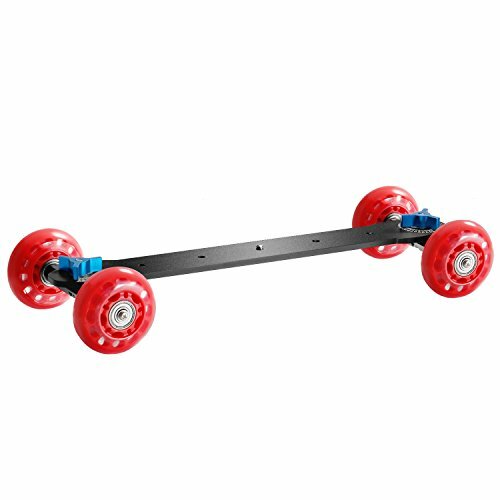 Dolly car helps you create more dynamic shots on flat surfaces such as table, ground, etc. Allows you to track the action, follow your subject, and keep up with dynamic scenarios while maintaining steady and smooth shots. Ideal for hand-held HD camcorder, video-ready DSLR, or professional video camera, LED Lights, Flash Light and more. Set adjustable axles for a straight path, curves or complete circles. The precise scale on the disc helps you slide your camera in the right direction.